Only five years ago, hyper-local mobile advertising was just a dream on the periphery of the minds of Facebook developers. But before location-enabled smartphones existed, Facebook’s vice president of global marketing suggested that hyper-local mobile ads were on the horizon for Facebook. So the social media giant began working towards geo-targeting advertising in 2011, when it joined forces with a startup company specializing in this type of ad. Today, Facebook’s dream of hyper-local mobile advertising has reached fruition in the form of Local Awareness Ads. Facebook Local Awareness Ads allow you to target prospective customers within a radius of 1 – 50 miles around your business. These ads can drive foot traffic to your business’s brick-and-mortar location for the lowest cost possible. When you set up a Facebook Local Awareness Ad for your business, you set a budget, choose a photo, and compose a meaningful message directed towards customers nearby. Below your chosen photo and message, you also have the option of adding two incredibly useful buttons—“Call Now” and “Get Directions.” The “Call Now” button allows prospective customers to contact your business immediately with orders or questions, while the “Get Directions” button will lead them straight to your door from their smartphones. The ads you create are displayed to customers that live in or have recently visited the area around your business location. As a local business owner, Facebook Local Awareness Ads can help you reach thousands of prospective customers within steps of your business. By reaching nearby audiences, these ads may be able to drive foot traffic that lead to real sales. Access to a Facebook-Size Audience. As the largest social media platform out there, Facebook has over one billion mobile users—many of whom give Facebook access to their location or supply their current city. More than any other social media or advertising platform, Facebook has the data needed to create accurate and informed hyper-local advertisements. Target a reachable audience. Before Facebook Local Awareness Ads, business owners could only target customers regionally by city or zip code. This wasn’t always practical for local retailers in big cities, or businesses that wanted to target tourists or vacationers. Alternatively, Local Awareness Ads target users who are physically located or have recently been physically located within the small radius you specify. 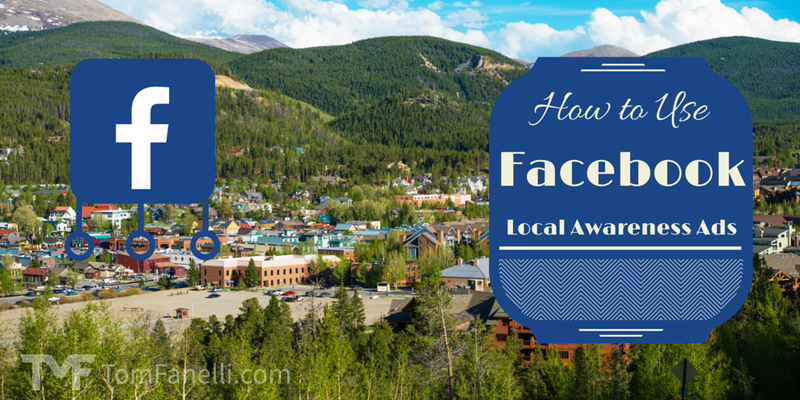 And for out-of-towners, Facebook Local Awareness Ads can conveniently provide directions with the click of a button. Display ads when you want. 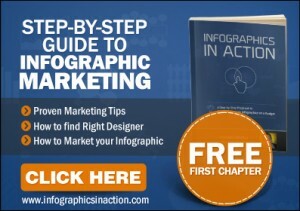 Local Awareness Ads also offer you the choice to set your ad display times associated with your budget. As a business owner, you could set up ads to display just during your most active business hours, or during off hours to generate additional traffic. Monitor your progress. 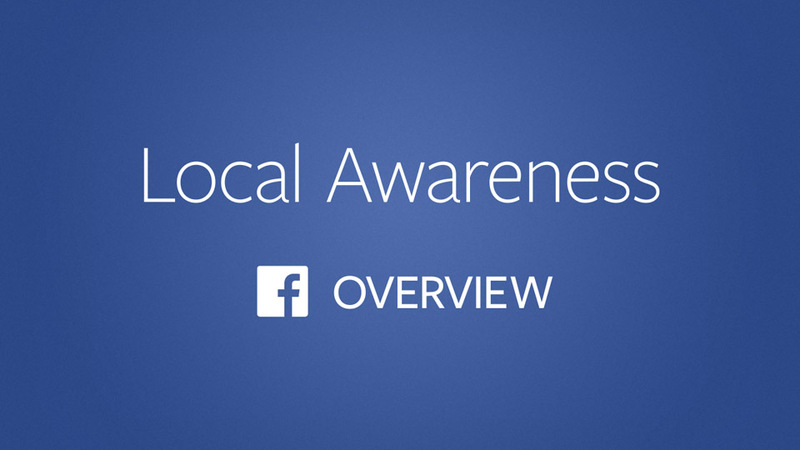 With Facebook Local Awareness Ads, you’ll get access to in-depth statistics and charts that detail the progress of your campaign in real-time. You can use this information to update and edit the details of your campaign: for instance, if you are satisfied with the conversion rate, you can buy more ad displays by adding more money to your account. Spend less. 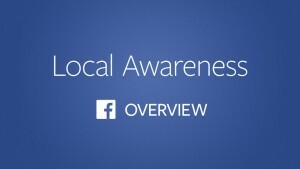 Facebook Local Awareness Ads allow you to spend less money while reaching more people in your area per dollar. That means business owners are able to advertise more often and more effectively. Ease of use. You can create a Facebook ad within two minutes, and without being a professional marketer, advertiser, or developer. Facebook even offers a mobile application providing access to your account from a tablet or smart phone, allowing you to monitor your advertising campaign on the fly. As a recently launched product, there are a few limitations with Facebook Local Awareness Ads as they are currently designed. Perhaps the most important limitation with these types of ads is their limited demographic targeting options. Unlike other types of Facebook ads, you can only filter targeting options by age, location, and gender. If you are a niche business targeting a very specific type of customer, you could end up paying for irrelevant impressions with Facebook Local Awareness Ads. You can get started on creating your own Local Awareness Ad by clicking here. Choose the objective for your campaign by clicking “Reach people near your business.” Then, select the page for the business you’d like to advertise. The location address of your business should populate automatically if your page has already been optimized. If not, you can type it in and select the location, age, gender of the audience you want to reach. You can choose a location radius as small as one mile and as large as 50 miles. Next, you can choose a budget and indicate the hour and time period you would like your ad to appear. Based on the budget you provide, you’ll be given an estimate of how many impressions your ad will make per day. Add pictures, text, and a call to action. That’s it! If you have a business that fits the Local Awareness Ad model, I would recommend giving these ads a test drive. Local Awareness Ads are a powerful and cost-effective way to expand your reach to a greater number of quality customers in your own neighborhood.